With this in mind we have developed a range of chair decorations and centrepieces and accessories perfectly suited to the vintage wedding look. 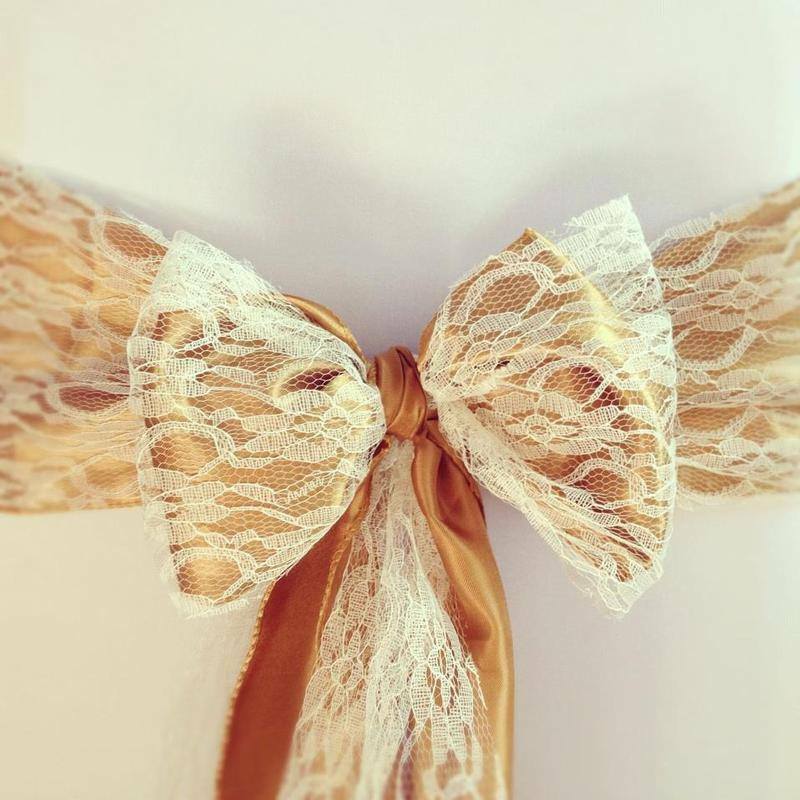 Our lace overlays are available in white or cream, and look stunning with our satin bows. Simple, elegant and so romantic! For most chairs we recommend using the bows with our chair covers, but if your venue already have beautiful chairs we can provide and fit the sashes and overlays without chair covers. 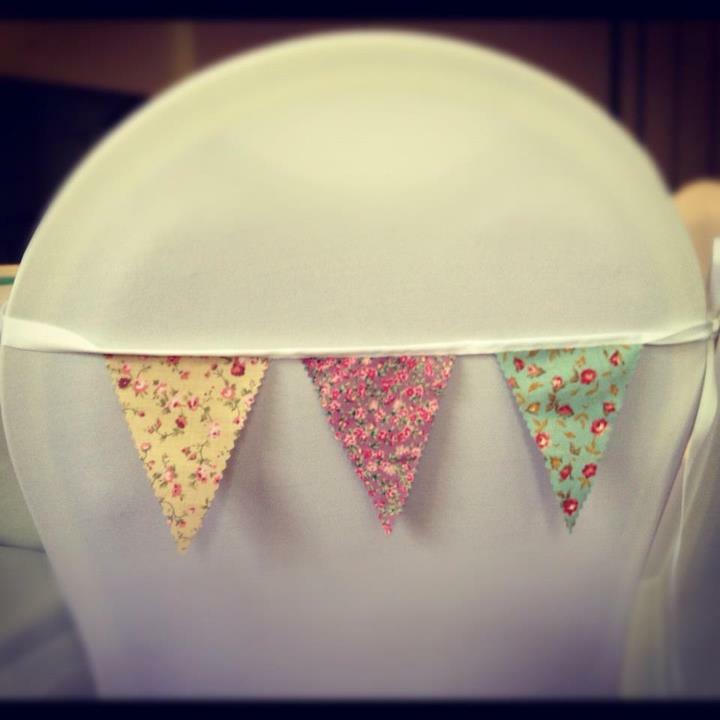 Fun and a little bit different, our chair bunting is hand made by myself and is available in a range of colours and themes to suit your requirements. As with the lace overlays, if your venue already has great chairs we can hire and fit chair bunting without our chair covers. Our lace chair hoods are absolutely perfect for a romantic vintage style wedding. Various flowers are available - real or artificial - and the hoods are available in three colours - peach, ivory and white. Chair hoods are available to hire without chair covers should your venue already have great chairs. We also have beautiful lace table overlays to match our chair hoods. Make your table plan a talking point! This is a Plant & Lollypop Stick Table Plan that we created for a recent wedding. The bride provided her own name sticks but we can provide these for you with names beautifully hand written. The pots and plants can all be changed to suit your big day, and can be on a rental or purchase basis. The perfect finishing touch for your vintage themed table, our chalk board table number stands are available to hire in white or cream.